People enter a nursing home when other options for medical care are inadequate. Thus, this transition is rarely entirely voluntary, and for those needing long-term round-the-clock care, often comes after other resources are exhausted. Because people enter these facilities as something of a last resort, the resident-to-be and their family members frequently feel they have little choice over the terms in the contracts imposed by the nursing home, which are almost always squarely in favor of the nursing home’s interests. One provision that is particularly onerous on families is the requirement that any dispute, including nursing home abuse, be resolved through binding arbitration, and not litigation. Arbitration proceedings are conducted in private, typically result in decisions that favor the nursing home, and give injured parties much lower damage awards. A federal agency within the Department of Health and Human Services, the Centers for Medicare and Medicaid Services (CMS), issued a new rule this fall that aims to rein in a nursing home’s ability to use arbitration clauses in contracts with residents. The new regulations issued by the CMS are the first significant update to the rules governing the operation of long-term care facilities in almost 25 years. The federal agency ties compliance with the rules to receiving Medicare and Medicaid federal funds to cover the treatment of residents who do not have the resources to pay for nursing home care out-of-pocket. In order to put some bargaining power back in the hands of a resident, the CMS wants to prohibit nursing homes from including binding arbitration clauses in the contracts for admission, readmission, or continued care at a facility. Basically, in order to make the agreement to arbitrate voluntary, the resident must specifically waive the right to file a lawsuit, and the terms must constitute a wholly separate agreement unconnected with any other issues. Further, the nature and meaning of the arbitration agreement must be explained in terms the resident can understand, and the agreement cannot contain language that discourages a resident from speaking to federal or state officials about problematic issues. In addition, the new rules address the training, reporting, and investigating requirements of nursing homes for allegations of abuse, neglect, or mistreatment of residents. Specifically, facilities are not permitted to hire any employee convicted for an offense related to harming a resident, and must implement policies and procedures for the investigation of these issues. Also, training employees to recognize signs of abuse is another component of developing methods to reduce the occurrence of such incidents. Arbitration may appear from the outside to be a fair alternative to litigation because it costs less, takes less time, and does not require the release of potentially embarrassing information to the public. However, binding arbitration procedures typically and more severely limit the types of evidence that can be used when compared to the courts. Additionally, by keeping the proceedings secret, the nursing home has no incentive to change harmful practices. 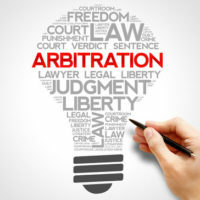 Most importantly, though, binding arbitration, is almost guaranteed to give the injured party less money than would be awarded by a jury, and the ability to appeal a decision by an arbitration is very restricted. Thus, the injured party is usually stuck with the decision, even if it seems unfair. Nursing home abuse is devastating to the victims and their families, and nursing home facilities need should be held accountable for their failure to protect an injured individual. The Miami law firm of Pita Weber Del Prado will fight to obtain compensation for anyone who suffered such mistreatment. Contact us for a free consultation.